The engaging design of our quality cushion covers will be the center of attraction of all your parties and get togethers. The trendy and striking pair of cushion covers will elevate the beauty of your home. This well-built polyester cover with a strong weave will ensure that you do not have to change your cushion covers for a long time ahead. Wrap your comfiest cushions with the smoothness of these cushion covers and snuggle up next to them for a fitful sleep. 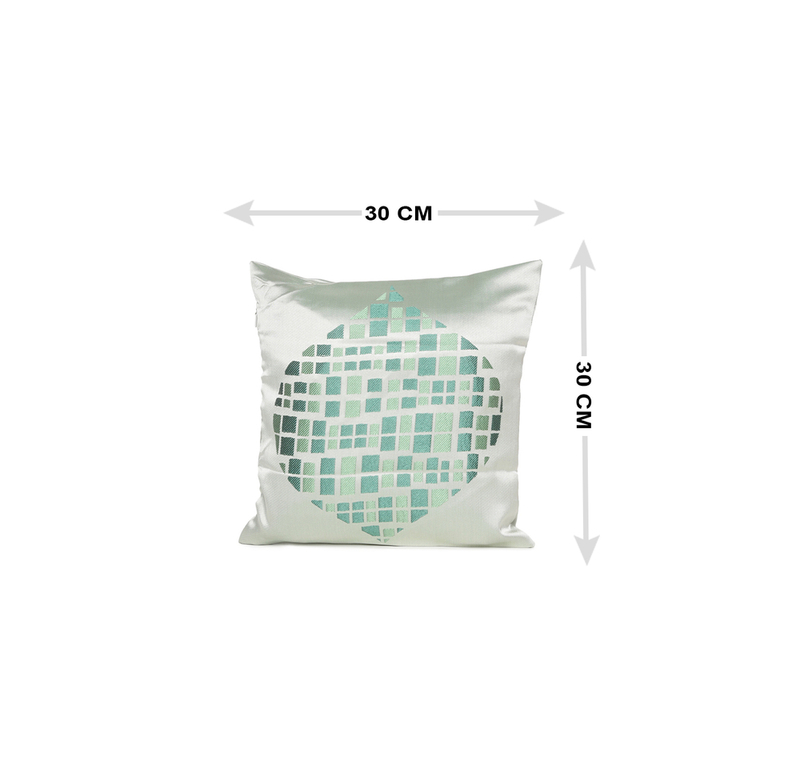 Easy to wash and maintain, the cushion cover comes equipped with a sturdy zipper closing which will make it easy for you to insert or remove the cushion. These cushion covers are easy to dry in addition to being wrinkle resistant. Add an interesting element to your seating area with this fascinating pair of cushion covers. The cream and emerald pattern with a shiny finish is not only modern but also very sophisticated. These cushion covers will look great on a variety of colors and types of furniture so you can never go wrong with them! Indulge yourself and personalize your living space with this extraordinary pair of cushion covers by getting them only from @home.